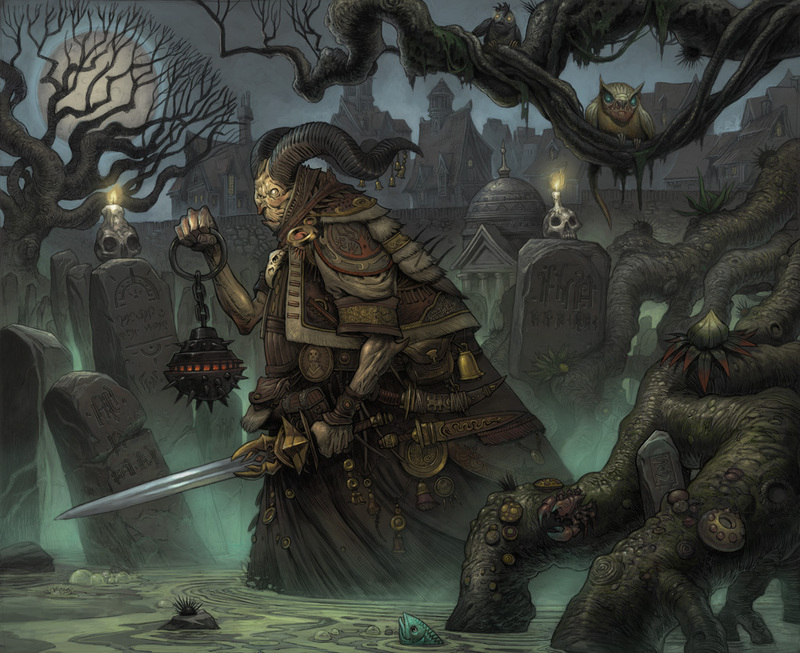 SEANandrewMURRAY'S sketchblog: The Gravemaster! Finished! Never has the saying "Art is never finished, it is simply abandoned" been so true... ha! But, I think this one came out pretty good. This is a piece for the "Book of Wizards" which still has ten days left in the Kickstarter campaign as of posting this, you can check it out here! Hope you like "The Gravemaster!" Amazing work Sean, so many great details here !!! really awesome work! are you planning on showing any work at baltimore comic con this year? it would be awesome to see your art and sketches in person! WoW! Your artworks are awesome! That is amazing!! Great work. I am a professional freelance concept artist and illustrator. I am the creator of the World of Gateway, and the writer/illustrator of the upcoming Kickstarter-funded book: "Gateway - The Book of Wizards"
Baltimore Betty - My Wife's Blog! Book of Wizards is a GO! Spectrum Pieces, and 90% on Kickstarter!